Supporting World Down Syndrome Day on Thursday 21st March 2019 was an easy decision. A diagnosis that is often misunderstood, our Accounts Assistant Nicola Snowden-Hermitage wanted to stand up and talk about it. Her son, Mason, has Down Syndrome so it is more important to her than ever. Next Thursday we will be sporting odd socks in honour of the Lots of Socks campaign, with staff making a small donation. Whilst the fundraising is an important part of World Down Syndrome Day, awareness brings a much greater form of donation, so we’re here to help. 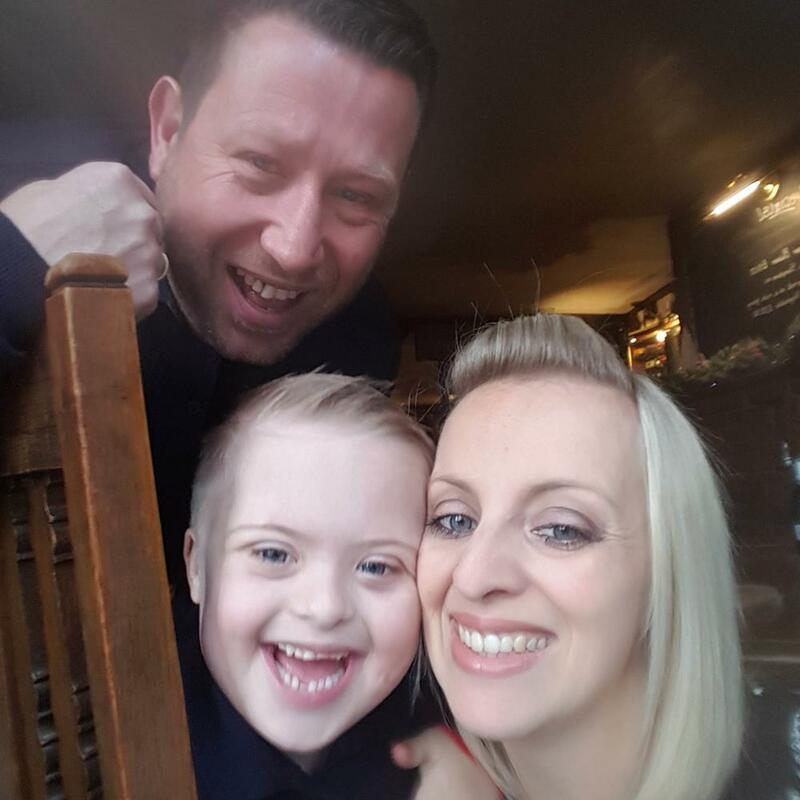 We spoke to Nicola to find out more about Down Syndrome. How readily available do you feel information is about Down Syndrome? Due to the hard work of families of people with DS there is so much information available. People can now find out the reality of living with DS. That being said the information families are provided by the medical profession still has a long way to go. Unfortunately DS is still seen as a worse case scenario by many medical professionals when they are going by outdated views/resources. There are so many horror stories from parents out there, and this is something I experienced first hand. How can people best understand Down Syndrome? Are there common misconceptions? The main thing is that DS is not something to be feared. Like everyone, each person with DS is an individual. They all have strengths and weaknesses. Just because you have DS does not mean that you are not going to succeed, does not mean you can’t add to society and does not mean that you will have an unfulfilled life. The biggest misconceptions we experience are…… ooh he doesn’t look like he has it that bad!! DS is not a scaled condition – you either have it or you don’t!! Doesn’t he look just like you?? Well as I’m his mum I would hope so!! Children with Downs are always so happy!! Trust me this is not the case – he has tantrums like every other 6 year old! How does it differ to be a mother of a child with Down Syndrome?I wouldn’t say it differs being a mother to a child with Downs although Mason is my only child so I know no different I would just say that priorities differ. All children test you and Mason is no different. All children are loving and Mason is no different. It’s just with Mason you have to take a step back and realise that milestones WILL happen but it might take you slightly longer to get there. I’ve also learnt that Idon’t really need that much sleep!!!! Why do you think World Down Syndrome Day awareness month helps? It helps to raise awareness and gets the subject discussed. Down Syndrome is not a dirty word and the Lots Of Socks campaign highlights that all types, shapes, sizes of socks can be unique in their own way, and yet do the same thing, just like people with Downs. If you find out someone has a DS diagnosis don’t say Sorry – there is nothing to be sorry for! And finally, but most importantly, Mason is the best thing that ever happened to me and I wouldn’t change him for the world! Join us in supporting World Down Syndrome Awareness Day on Thursday 21st March 2019. Share and tag your photos of support on Facebook and Instagram - we can't wait to see them. The Tenant Fees Bill confirmed by The Parliamentary Under-Secretary of State, Lord Bourne of Aberystwyth, on the 15thof January 2019, was given Royal Assent on 12thFebruary 2019 and therefore confirmed into law as The Tenant Fees Act 2019. It will become illegal for all agencies and private landlords to charge non-optional fees to tenants or to guarantors on or after 1st June 2019, including renewals. Deposits will be limited to the equivalent of 5 weeks rent for tenancies of less than £4,167 pcm and 6 weeks for tenancies over this amount. Agencies and private landlords can charge some default fees – such as for replacement keys. If an agencies or private landlord charge any of the banned fees after this date, they will be liable to refund the fee, with interest, and could be fined up to £30,000 and subject to a banning order. They will also be unable to serve a Section 21 Notice to Quit unless any unlawful fees are repaid. The tenancy application process has developed into a complex procedure, heavily laden with legislation. Credit checks, extensive referencing, Right to Rent checks, safety checks, deposit registration and the provision of legally binding contracts form just part of the process. The consequences for not completing these efficiently and diligently can result in the inability to re-gain possession of a property, significant fines and criminal proceedings for both the agency and the landlord. Unregulated tenant fees and a highly competitive industry have resulted in an escalation of charges, in some cases to unjustifiable levels. It’s fair to say that some in the market are not clear as to what their tenant fees cover, and the reality is that these are not commensurate with the work involved. This is often due to agencies offering discounted management fees to their landlords – often to great fanfare – which are in turn subsidised by inflated fees to tenants. The Government sites the Tenant Fees Act as the driving force for fairness and transparency in the private rental sector. In an industry so historically lacking in regulation – there is currently no minimum experience or level of qualification to work in lettings – this should be a welcomed disruption to those who share our desire to value excellence. Industry specific training, externally monitored qualifications and minimum levels of experience should all be as standard for those in a direct position to look after what is likely to be somebody’s most valuable asset – their property. The challenge for us is to manage the increase workload this Act no doubt brings, minimise the risks to our landlords and continue to provide the high level of service we are proud to deliver. We have always been of the belief that disruption drives innovation, and we are well prepared at RAH. We have implemented several new systems resulting in dramatic improvements to our productivity of process. Cloud-based tenancy application software- allowing us to manage a greater volume with increased efficiency. It provides a digital audit trail, automated compliance processes and increased speed in which we can complete the process. We have already seen significant benefit as it takes RAH 11 days to go from application to executed AST, compared to an industry average of 26 days, thus reducing the risk of abortive costs and void periods to you. DocuSign- electronic completion and signature process for all documentation. This means we are now not reliant on paper-based documents. Rightmove Passport- RAH are one of very few agents in the country trialling a new ‘pre-qualified’ application procedure introduced by Rightmove. Tenants, who enquire to us via Rightmove, can be pre-vetted speeding up their potential application. Not all our improvements are digital or process driven. Our biggest asset remains our people. We are proud to announce that 100% of our lettings team are now members of ARLA PropertyMark. This is not a legislative requirement – no qualifications or minimum level of experience is required to work in our industry. This was not good enough for us. We set ourselves higher standards, so at RAH we are fully funding the Continuous Professional Development of our people via the industry leading ARLA qualifications program. There is no silver bullet that will solve this challenge, yet we are determined to embrace new technologies and processes to manage and maintain our position as one of the leading agencies in the area. I am proud that RAH will be at the forefront. 2018 has certainly been a year of two halves or so the main commentators would have you believe. Early signs were that sales departments of estate agents throughout the region seemed to be enjoying excellent market conditions and it appeared that the market was going to withstand all that was thrown at it. With excellent transactional volume, good year on year price growth all fuelled by demand and an apparent determination not to be sidetracked by the B word. However, as we moved into Q3 the landscape began to change. Not solely, in my view, a result of the Brexit storm. Over the last few years we have seen a continual assault on the market – taxation increases at almost every point, be it stamp duty land tax, erosion of tax relief on finance costs for buy to let, capital gains tax for overseas investment to name but a few. In August ’18 we saw only the second interest rate rise for 11 years, meaning we now have a whole generation of home owners who have hardly experienced an increase in mortgage payments…….. let’s hope they all took out PPI, no wait a second? Then there is the 10-year price rises versus’ slow/stagnating wage growth. The costs of entry to the market have never been higher, the average cost of a home in Cambridge now represents 13.5 times the average salary (compared to just under 8 times average salary across the country as a whole). As we head towards 2019, not to mention 29th March, we have continued uncertainty which is the factor that seems to stall not just the property market but everything else as well. Despite all the headwinds the market continues to perform and in Cambridge we haven’t arrived in quite the buyers’ market some are seeing. Not surprisingly, as the barriers rise in sales the lettings market continues to be reassuringly stable. It offers flexibility, lower costs of entry and, more so than ever, fantastic quality as the population has become more discerning on type, style and quality. This is welcome news and we now have a market wanting to deliver high specification and an audience willing to pay for it. The availability of a quality housing stock is a vital part in attracting people and industry to the city. However, the lettings market isn’t immune to government interference, and there is a planned ban on tenant fees expected to be implemented in April. I am all in favour of regulating charges- paying a fair price for a good service, particularly when you hear some of the unfair charges some agents choose to impose on tenants. This blanket ban will certainly impact on the market as the work and cost remains (or likely increases) but the revenue is removed. Depending on how a business is modelled the impact could be huge, possibly terminal for some agencies. This has to be an unintended consequence of the Government’s objective to regulate and level the industry. Next year, just like every year, will undoubtedly present challenges. What these challenges will be remains to be seen but that’s all part of it. Our role is to embrace and overcome them, whilst continuing to provide great service and advice because let’s not forget for the vast majority of the population a home isn’t a business, it is much more important than that. Redmayne, Arnold & Harris Ltd has announced that three established members of the Firm have been appointed as Directors and Shareholders last week. Christopher Toynbee, Jason Harvey and Oliver Hughes now join existing Directors Alex Gray, Chris Arnold and Nick Harris in leadership of the Cambridge-based estate agency. Toynbee, previously Head of Lettings and Investments, Harvey, previously Valuer and Hughes, previously Head of New Homes, have numerous years of experience in the industry and have been leading the business to greater heights since they joined, making Directorship a natural progression within the Firm. Founded in Cambridge over 25 years ago and launching a second office in Cambridge just under 2 years ago, the business continues to show areas of great expansion with plans already in place to push the company’s Year on Year results and targets. Now looking to lead the way in sales, lettings, land, new homes and commercial developments, with a strong head of professional experts at its helms, Redmayne, Arnold & Harris would like to wish all our clients a prosperous start to 2019. 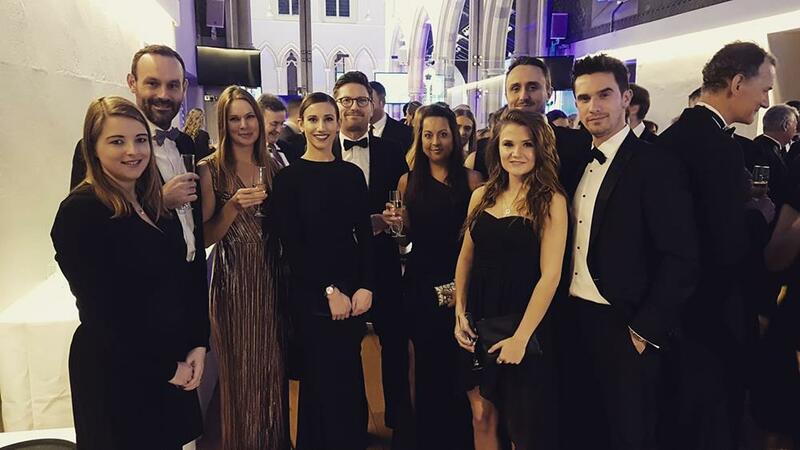 Lettings Property Manager, Ruby Goddard, was awarded the prestigious Rising Star Award at last night’s Cambridge News & Media Property Awards (Thursday 29th November). 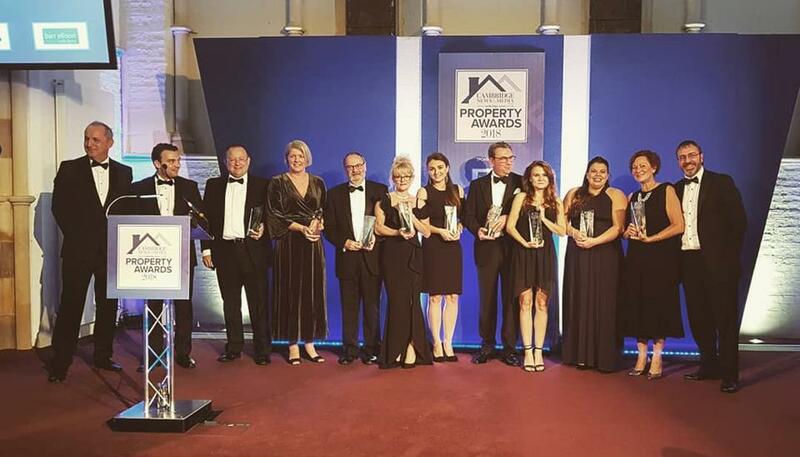 The awards ceremony, which took place at St Barnabas Church, Mill Road, Cambridge, saw many of the city’s established estate agents, lettings agents and developers come together to celebrate a successful year in the industry. Taking the title of Rising Star, Ruby was commended on her professionalism and extensive knowledge of the market, beating a high number of nominated candidates to the title. Other winners at the fourth annual event included Andrew Bush of Bush Sales, who took home the Outstanding Contribution Award for his 30 years in the industry. Redmayne Arnold & Harris has two offices in Cambridge and Great Shelford, with an experienced and professional team at its helms. Closing in on 30 years in business, the team offer a bespoke service across sales, lettings, land, new homes and commercial developments. We're proud to be supporting Small Business Saturday on 1st December 2018. From our own small business to the many local independents we've been honoured to work alongside this year, we hope that you take note of this campaign and #ShopLocal this Saturday ahead of the Christmas rush. Whether it's popping into our neighbours at the Shelford Deli or the many independents in Great Shelford, or venturing away from the high street retailers in Cambridge and instead finding something in the independents lining King Street, Cobbles Yard and many other areas of the city, we hope you join in. American Express remains the principal supporter of the campaign in the UK, as part of its ongoing commitment to encourage consumers to shop small. This year, American Express is incentivising Cardmembers to support their local independents with the return of its Shop Small offer. From Small Business Saturday until 16th December, American Express Cardmembers will receive a £5 statement credit when they spend £10 or more at participating small merchants. Tag us in any #SmallBizSatUK purchases you make across the weekend, we'd love to see your support too. Visit smallbusinesssaturdayuk.com for more information. The Spring edition of our Property View magazine is now available to read online. Inside you’ll find a selection of houses and apartments for sale and to let, both in Cambridge and the surrounding villages. There are also details of some of the brand new homes that we are currently marketing. As well as available properties, we take a look at why the kitchen is the most important room in the house when it comes to selling (with some stunning examples) and Jane Bailey discusses why it pays to be on the case when it comes to chains. We also highlight our Feefo feedback system which gives our clients the chance to leave feedback on any aspect of the service they receive from us. What does the future hold for the Cambridge rental market? The Cambridge rental market is seen as very buoyant, a place where rents increase and demand always outweighs supply. Is this still the case? Over the past 10 years, buy-to-let investors have flocked to Cambridge in the expectation of strong rents and impressive capital growth, driven by huge tenant demand and lack of supply. However, while rents have remained strong over the past year, we have seen a slow down in the rates of capital appreciation. Investors chasing a fast buck are likely to be disappointed. This doesn’t mean the Cambridge BTL market is broken, it just means a short-term investment strategy is no longer a viable option. According to the most recent Home Track report (February 2018) values in Cambridge have dropped 1.5% year on year, but will this have an affect on the rental market? In the immediate short term, likely not, but if this becomes and ongoing trend, those property owners considering selling up, may hold off until prices see an increase. This in turn will affect the stock of properties to purchase, possible pushing people to rent until they find their ‘dream home’ but also pushing buy to let investors in purchasing while prices are down. The average rent in the East of England, at the end of 2017 was £909pcm, in Cambridge this was £1202pcm (Landbay, Rental Index Report). Cambridge is still a microclimate, offering a unique setting for the housing market. So why does Cambridge stand out and what part do Landlords need to play in keeping these rents at this level? Over the next three years, around two million sq ft of office and laboratory developments will be delivered in the Cambridge market. This is on top of the multinational companies, such as Astrazeneca, Google, and Microsoft who have already called Cambridge their home. The increased investment in infrastructure is also increasing the rental demand as more areas of the City become popular for commuters; such as the Cambridge North train station, improvements to A14 between Cambridge and Huntington and proposed plans for a Cambridge South train station. New developments such as Ninewells and Eddington, together with some impressive high spec refurbishments of existing stock has improved the overall standard of properties in Cambridge. Older properties can start looking more dated in comparison to the newer developments so keeping up with maintenance is key. Larger companies in the City are attracting affluent young professionals and families who expect their homes to be well-presented and maintenance free in exchange for the high rents they are being asked to pay. Landlords must keep up with these expectations to ensure the strong rents continue. As Letting Agents, we need to ensure our clients' property stands out from others on the market, giving the best possible chance of achieving the expected rent level, with a minimum void period. Looking ahead, we expect clearer answers to the key questions. Will the changes to stamp duty for first time buyers reduce the young professional renters or the length in which they rent? Will the changes with tax relief on mortgage payments reduce the buy to let investors and therefore rental stock, ultimately leading to an underpinning of rental prices as supply drops but demand remains steady? Will the uncertainty with Brexit hold people back in buying and push them to rent until the landscape is more certain? Only time will tell, but what we do know is the Cambridge market continues to need supply to meet the demand. This supply just needs to be of a higher standard, to meet the increased expectations of tenants. The Housing and Planning Act 2016 came into force on the 6th of April 2018 and it includes the introduction of a ‘Rogue Landlord’ database. This will list every landlord who has been prosecuted or fined by a Local Authority. Further, the regulations also provide the Local Authority with the power to pursue Banning Orders against landlords. If imposed, these orders will prevent the landlord managing any property for a set period of time, as well as their name appearing on ‘Rogue Landlord’ national database. The implications of this could be quite severe for some. In previous cases, fines against landlords end up in the pocket of HM Treasury. For these new regulations, any fines imposed on landlords will be for the Local Authority to keep, the hope being, that with a direct financial incentive, LAs will be focussed on outing the issues. Given how early we are into the new regulations, their success at improving standards remains to be seen. However, it’s the latest of a number of ‘sticks’ the government have been using on landlords and one that could have a severe impact. The Banning Order powers that Local Authorities will now possess will prevent landlords from managing their properties, if any of these offences have taken place. A Banning Order can also be pursued if the landlord has failed to undertake what the Local Authority consider to be ‘necessary’ remedial works. Remedial works does not necessarily mean urgent repair work. The Regulations do not accurately define this and potentially leave it open for Local Authorities to enforce their opinion of ‘necessary’ works. If the landlord refuses to undertake this work for whatever reason (such as legitimate lack of funds), they are liable to be taken to a tribunal by the Local Authority in order to impose a Banning Order. This could result in either imprisonment (unlikely?) or a fine of up to £30k. Local Authorities therefore have two wins from the introduction of these regulations. Increasing standards of rental properties as landlords wish to avoid a Banning Orders, or receiving fines from those landlords who do not undertake these works. If a Landlord fails to pay the fine, a charge is put on the property. This is indicative of the general theme running through the industry at the moment where there are many more examples of government using ‘stick’ rather than ‘carrot’ regulations to encourage desired behaviour from landlords. There of course would not be any argument against the move to improve standards, but the proposed set up has the potential to affect all landlords and not just those with genuinely poorly maintained properties. A fundamental obligation of a landlord, and one governed by legislation as well as contract, is the obligation to repair and maintain certain aspects of the property. Landlords who fail to adhere to this obligation could face penalties such as fines, prosecution and the inability to obtain possession. Section 11 of the Landlord and Tenant Act 1985 details the scope of the obligation and helps define who is responsible for what repairs and maintenance. This should also be detailed in the assured shorthold tenancy agreement (AST) between the two parties. The fabric and structure of the property – This includes the roof, walls, ceilings, gutters, downpipes etc. The supply of services to the property, including sanitary ware – this includes electrical wiring, gas pipework, baths, basins, sinks etc. In order to fulfil this obligation, the landlord has an implied right for access in order to repair and maintain as necessary. This is backed up by section 11 (6) of the Landlord and Tenant Act 1985 which confirms the landlord is allowed access for these purposes. Note, however, the tenants right to deny access overrides the above, and if the tenant refuses access the landlord must not attend and must seek court permission to do so. The Landlord is expected to repair the property, or replace items, bearing in mind the age and condition of the property, or the item to be replaced. The tenant cannot expect betterment, nor should they be expected to accept a replacement that is of lesser quality or specification than the original item. It’s not an uncommon occurrence when there are disputes between the two parties for Landlords to hesitate to undertake repairs – almost as a bargaining chip. This is a fundamental breach of section 11 and could have serious consequences going forward. It will leave the landlord in a much worse and weaker position. Of course, there are obligations on the tenants as well, usually detailed within the AST. These include obligations not to damage the property, maintain any gardens, repair or replace any items they have broken or damaged etc. Tenants are further expected to behave in a “Tenant like manner” which is a description put forward by Lord Denning in Warren v Keen 1954. There is a little confusion regarding what exactly this means, but basically it means that there will be certain things that a tenant is expected to take on as part of being a tenant – changing lightbulbs, unblocking sinks, mowing the lawn i.e. everyday remedial issues. Tenants are also obliged to report any issues as soon as they arise. If the tenant fails to report faults when they knew, or should have known, about them, and as a result the property is further damaged, the tenant would be responsible for the extra cost of repair. This damage is known as ‘permissive’ damage’. Similarly, tenants should not be withholding rent in the event of repairs that they perceive to be necessary not being undertaken. Rent payment is a fundamental obligation of the tenant and knowingly failing to fulfil this – for whatever reason – could actually cause more problems later on. If both sides are fully informed and aware of their rights and obligations prior to entering an AST, then its far less likely that there will be issues or disputes between the parties. A section 21 notice is one of two ways in which a landlord can seek possession of their rental property back from their tenants (the other being a Section 8, which will form part of a later article). A Section 21 notice is the most commonly used method of seeking possession. It can be served any time after the end of month four of a fixed term tenancy and at any point during a periodic tenancy. It provides the Tenant with a two month’s notice of the date of which the landlord will seek possession. All it involves is the completion of a two-sided form (now a form 6A) which is then served on a Tenant. Sounds relatively simple, right? Unfortunately, not. There is a raft of scenarios where a Landlord cannot serve a Section 21 and a seemingly endless number of hurdles the Landlord must clear for the Section 21 to be correctly issued and served. Even assuming all the above is undertaken correctly, the tenant doesn’t actually have to leave at on the date specified by the section 21 notice. The notice is one for ‘seeking possession’, not for eviction. Eviction is provided for by the courts. In practice, and with the help of good management, the vast majority of tenants will leave on or before the date seeking possession. At Redmayne Arnold & Harris we will serve section 21 notices on behalf of our landlords under our Fully Managed service. We have strict processes in place to ensure that all areas are covered so that there is no uncertainty with regards to the validity of the notices we serve. The world of buy to let is unrecognisable for that of 15 or even 10 years ago. Long gone are the days of 110% mortgages, self-certification and same day remortgages. Investors now find themselves in an environment where they are seemingly being attacked from every angle. Increase in stamp duty levies, the tapering out of mortgage interest relief and the introduction of portfolio lending assessments. This is where a mortgage company will require much more detail from the Landlord in terms of personal assets and liabilities and income than they had previously. This has led to many “one-off” landlords - and some more established portfolio landlords - selling off their investments to avoid these additional costs and difficulties in obtaining finance. Other landlords trying to protect themselves by transferring properties into a Limited Company structure, where mortgage interest costs can still be offset against profit. We would highly recommend speaking to your accountant before pursuing such a strategy as it does come with many other tax implications. Lending to Limited Companies is now fairly mainstream, and the cost of doing so is not dissimilar to that of personal mortgages. For example, a fixed 5 year deal at an 80% loan to value will attract an interest rate of sub 4%. However, there are also associated legal costs and the mortgage arrangement fees that can vary between 2%-3% of the amount borrowed, adding to the overall cost. By comparison, personal lending tends to be characterised by much lower arrangement fees despite the fact that the rate of interest charged is really much the same as that for lending to Limited Companies. Interest rates themselves have seen a recent rise and there is talk of at least one, if not two, more rises later this year. While landlords have enjoyed rock-bottom rates for a long time now, the timing of an increase in rates, combined with the harsher tax and legislative BTL environment we now find ourselves in, will be a particularly bitter pill for landlords to swallow. While conditions in the local property market may not be offering the double-digit capital growth of recent years, property in and around Cambridge still represents a solid investment. But it's important to have a good understanding of the various new regulations and legal requirements. Here are 10 of the most important changes that are impacting landlords in today's private rented sector. 1. Mortgage interest tax relief changes Before April this year, landlords could deduct their mortgage interest costs from their income when calculating their tax bill. Now though, you can only offset 75% of your mortgage interest, and this figure is being gradually reduced to zero by 2020. Instead, landlords can claim a tax credit worth 20% of their mortgage interest – a change which will hit high-earning landlords hardest. 2. The end of the wear and tear allowance Until 2016, landlords letting furnished homes could deduct 10% of the annual rent from their profits before they paid tax to account for ‘wear and tear’. This ‘wear and tear’ allowance was permitted regardless of whether they had actually spent any money on furnishings that tax year. According to the new taxation rules, landlords can only deduct the cost of replacing or repairing household items like-for-like. 3. Right to Rent checks Under ‘Right to Rent’ legislation which came in to force in February 2016, landlords have to ensure their tenants have the legal right to live in the UK. This involves checking passport or visa paperwork before the lease is signed. WIth RAH managing your property, we’ll deal with this on your behalf, but the consequences are severe – if you’re found to be letting to a tenant who is living in the UK illegally, you could face a fine of up to £3,000. 4. Energy efficiency regulations From 1 April next year, any properties rented out privately must have a minimum emergency performance rating of E or an Energy Performance Certificate (EPC). The rules will apply to new tenancies from April 2018 and for existing tenancies from April 2020. Fines of up to £4,000 can be imposed for landlords who breach the rules. 5. The Housing White Paper In February, the government released a White Paper on ‘fixing Britain’s broken housing market’. Primarily, the paper focuses on freeing up land for housebuilding, encouraging construction of starter homes and addressing unfair rental practices. With the uncertainty caused by the recent general election, however, it remains to be seen which – if any – policies will be implemented. 6. A property market slowdown Landlords need to be aware of market pressures caused by external events. We found that last year’s Brexit vote had little effect on \cambridge house prices, and any talk of a house price crash has so far been unfounded. That said, transaction levels have been slowing in recent months – if value growth follows suit, property investors may see weaker returns. 7. Section 21 eviction process In 2015, new regulations were brought in surrounding the Section 21 eviction process, requiring landlords to follow the rules around evictions more closely. While these requirements have existed for some time, some self-managing landlords may not be aware of the complexity of the process. As an ARLA qualified agent, RAH is fully up to speed on the Section 21 requirements. 8. Tenancy deposit protection Compulsory tenancy deposit schemes have been around for a decade, but there are signs that the deposit system might be beginning to change. From deposit free renting in the build-to-rent sector to apps offering tenancy insurance, a number of schemes are being touted as a new alternative – so it’s important for landlords to keep abreast of the latest trends and technology. 9. Stricter buy-to-let lending regulations Last year, the Bank of England announced it would introduce tougher new requirements for buy-to-let borrowers. The new rules require landlords to bring in higher levels of rent relative to their mortgage costs. In addition, landlords with four or more properties will face additional stress testing, and be required to provide more information about their income and debts. 10. The continuing impact of stamp duty changes The stamp duty surcharge – taking effect in April 2016 – is arguably the most divisive of the measures introduced to cool the private rental sector. The 3% surcharge means, for example, that a landlord buying a £200,000 home would now pay £7,500 in stamp duty, compared to just £1,500 before the changes. Landlords need to factor in these additional costs before making a new purchase. The Lettings Industry is a fast-paced industry in which legislation is continuously evolving in terms of both quantity and complexity. At a time when Landlords and Agents must comply over 100 pieces of legislation, it has become as important as ever to ensure your chosen agent is ARLA registered and qualified. Redmayne, Arnold and Harris is an ARLA (Associated of Residential Letting Agents) regulated agent, and have been for many years. In addition to this, we have several members of the Lettings Department who individually, are ARLA qualified, having passed industry exams and continuing with training as part of professional development. This ensures our staff are fully up to date on industry changes. ARLA registered agents are covered by the ARLA Client Money Protection Scheme, protecting landlord and tenants rents and deposits. If your agent isn’t ARLA and were to declare bankruptcy, or deal on the wrong side of the law, your money’s gone and you’re on your own! Any ARLA agent must have Professional Indemnity Insurance, giving landlords and tenants peace of mind in the unlikely event of negligence or bad advice. Our ARLA qualified members of staff are required to be trained and qualified in addition to following a structured programme of Continuous Professional Development skills – keeping their industry specific knowledge up to date. If something were to go wrong with an ARLA agent, you know you have an option to redress the situation by taking the matter up with ARLA. All ARLA Agents are regularly updated with government legislations, including important safety checks such as Gas Safety Certificates and Smokes and Carbon Monoxide (England) Regulation 2015. ARLA offer continuous support to registered Agents in the form of regular regional update meetings and a direct helpline to a team of solicitors, specialising in the lettings industry. Property investors will be feeling battered and bruised by the continued introduction of additional costs and hurdles to the investment market. The additional stamp duty costs, tapered loss of mortgage interest relief and now stricter lending criteria have all increased the complexity and the cost of property investment. On the face of it, its worked. There are fewer investors in the market and we have seen an increase in landlords selling up. This has meant that properties considered to be ripe for investment have become much more price sensitive with investors scrutinising yields and long term capital growth with far more intent. The main area where I am seeing a change is off-market opportunities. Landlords who are considering selling their investment are increasingly looking to sell directly to investors without going on the open market. They want to reduce the risk of unsettling their tenants and suffering void periods. I currently have several off-market opportunities that have come directly to me. This is a distinct change from recent times where landlords have been focussed on going to the open market to achieve the best possible sale price. For those investors still in the market, there are good opportunities out there. Off-market, fully let deals are attractive as they are less complex and offer immediate returns. The structure of the property investment market may be changing, but it still provides for a solid, long term investment. Cambridge has been ranked 8th globally in terms of housing costs for students according to a new report by student.com. The report says that the average weekly rent in Cambridge is £209, slightly cheaper than Oxford (and London) but some way ahead of the least expensive cities for housing in the UK which were Hull with an average rent of £85, Dundee £94 and Sunderland £94.50. What's really happening to Cambridge prices? According to Home.co.uk there are 20% more properties on the market today than there were 12 months ago, but the numbers of property sales are down by 20% or more. Such an increase in supply would suggest that prices should be falling. However, according to the latest UK Cities House Price Index from Hometrack, Cambridge house price growth in the past 12 months was just 2.2%, down from 12.2% the previous year. Firstly, it must be said that the market was distorted last year. There was a surge of investors buying last Spring to beat the introduction of higher levels of Stamp Duty for second properties and this really helped to push up both prices and total number of sales. There has now been a readjustment. Secondly, there is a major split in the market between traditional second-hand properties and new homes. Cambridge has seen unprecedented levels of house building over the past few years and this has led to an over-supply of very similar new houses and apartments on large developments. Typically, large developers release schemes in phases with prices changing based on demand. In a rising market this means higher prices at each stage. But this can only carry on for so long before buyers say enough is enough and now there is a definite slow-down in sales. The average time to sell a home in Cambridge has risen from 4.1 weeks in March 2016 to 7.5 weeks today. This change is driven by what is happening (or not) on large new developments. The new homes market now makes up nearly 40% of the total number of properties on the market in Cambridge and is hiding a shortage of supply in the traditional market where houses and apartments are still selling really well. Nowhere is this truer than for pretty, Victorian houses, priced correctly in the Kite, close to the Station, in Newnham or in De Freville Avenue. These homes remain incredibly popular with buyers. We recently sold a two-bed terraced house in York Street where there were 17 viewers and seven offers with the final sale price substantially more than the original guide. Even in the new homes market there are variations. Smaller developers selling interesting, high spec houses and apartments in good locations are still finding buyers happy to pay premium prices. Making sure these specialist developers have access to the right advice and sales expertise is exactly the reason we are welcoming Oliver Hughes to our team. What of the future? The Sunday Times recently ranked Cambridge in its best 20 locations to live. Under the headline ‘Boom Town for the Brainy’, the newspaper said: “You can’t argue with this honey-coloured hotspot’s popularity. The population is soaring, thanks to great rail links and blossoming tech businesses”. Outside the city, The Halifax Quality of Life Survey 2016 recently placed South Cambridgeshire the sixth most desirable place to be a resident in the country. Cambridge and its surrounding villages remain a great place to buy. And, if you are thinking of moving in 2017, take a look behind the headline statistics to understand what really is and is not selling locally. The rental market in Cambridge is changing rapidly. Renting is no longer the short term stop gap it once was and tenants are becoming more demanding. If they are renting a whole property, they expect it to be maintained and presented as well as if they owned it themselves. And rooms in shared houses do not escape this weight of expectation. Even for students, the days of damp, dirty and cramped digs are long over. Only seven percent of University of Cambridge students now live in private rented accommodation, most are housed in College-provided blocks with en-suite bathrooms and all mod cons. Anglia Ruskin University now dominates student demand in Cambridge but if you want to find the best student tenants you will need to offer standards that come close to the new purpose-built rooms on offer throughout the city. Making initial impression count can make all the difference when it comes to attracting tenants. As a landlord, having a ‘they can take us as they find us’ attitude rarely results in you achieving your rental expectations. So here are my top tips for the things you must check before you allow potential tenants to come round. 1. Providing fast broadband and decent cable/satellite are now basic pre-requisites for mellenials. Once upon a time services simply covered gas, electricity and water but wi-fi and digital television are just as important. If a tenant can see they are up and running, they know they won't have the hassle of sorting them out. 2. Kitchens and bathrooms are key. TV Property programmes and swanky boutique hotels have raised the bar on the quality of kitchens and bathrooms and this is changing tenant expectations. Think about installing mid range appliances in the kitchen rather than the cheapest. You don't need to lay travertine everywhere but quality tiling and worktops will make a good impression. If you cannot do anything else, at the very least make sure kitchens and bathrooms are spotless. 3. Think like a tenant. Now is the time to look at your property with fresh eyes. Check for peeling paint in the bathrooms, polish those light switches and tighten the screws to fix those rattling door knobs. You need to show your property has been looked after and is loved. Tenants will make a snap judgement about your attitude to future maintenance issues based on what they see on a viewing. 4. The entrance is the keystone of your kerb appeal. If the front door needs a lick of paint, choose a tasteful colour. Make sure the outside lights work. Even if you don't own the areas around the entrance it is in your interest to check that the path is clear and move the bins away from the front of the property. Make the entrance hall a welcoming space. Nothing ruins the first impression more than a crowded hallway where you have to fight your way past coats, shoe racks and piles of post. 5. If your property has a garden don't neglect this important space. An overgrown jungle suggests that you don't care about the property and could leave the impression that you won't sty on top of the maintenance during the tenancy. Pruning, trimming and landscaping will make sure your garden presents a positive first impression. And now is not the time to argue with the local council about who mows the verge outside your property. Swallow your pride and do it yourself (at least while viewings are taking place). 6. If the sun isn’t streaming through the windows, the right lighting can make all the difference. Poor lighting can make your home feel dark and drab so install brighter modern lights to make your home seem sunny, cheerful and up to date. 7. And keep on top of the cleaning! Even if the property has been professionally cleaned after the previous tenants moved out, you may need to do periodic top up cleans. While some potential tenants can ignore stains and dust, most cannot and will imagine themselves living in the space, as you present it. If your property looks (and smells) clean, prospective tenants will be far more likely to see the potential. 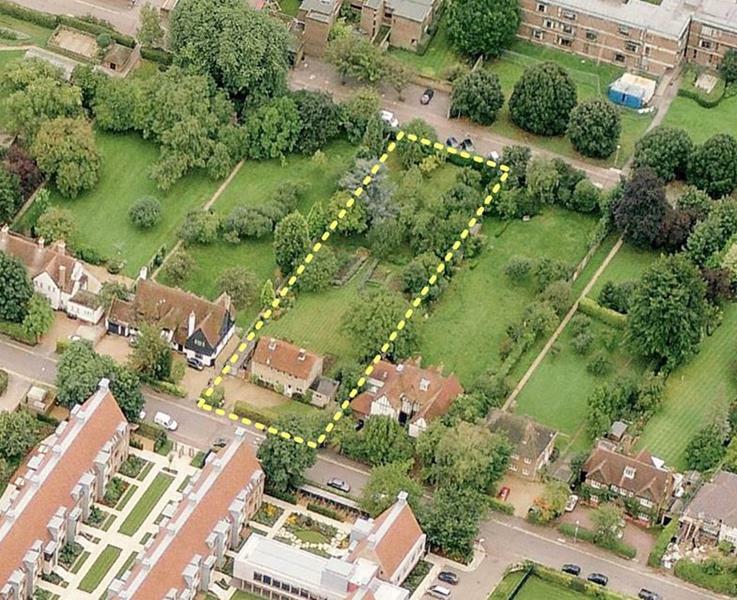 We are marketing a half-acre plot of land in one of the finest streets in Cambridge. The patch of land, nestled behind Churchill College, is set to become the foundation for a 7,300 sq. ft seven bedroomed home which will come complete with an indoor swimming pool complex and yoga studio. Storey’s Way is widely acknowledged as one of the best addresses in Cambridge. A quiet, leafy avenue running from Churchill College on Madingley Road, past Trinity Hall playing fields and onto Huntingdon Road. The site at 68 Storey’s Way is currently home to a modest four bedroom, 1950s house which will need to be demolished to make way for the new buildings. Full planning permission has been granted to create an Arts & Crafts style building in keeping with neighbouring homes built in the 1920s and 1930s. It is thought that the house at nearly 10,000 sq.ft of total accommodation will be worth around £4million once completed – making it one of the most impressive private homes in the City. Oliver Hughes commenting on the sale said ‘This is a unique opportunity to create a bespoke home of outstanding luxury and quality. The special character of Storey’s Way stems from the Arts & Craft houses with their spacious gardens. Number 68 is no different. Storey’s Way is a Conservation Area, who’s character is determined by the detached family houses with their spacious gardens. The boundaries of the Conservation Area are defined by the original L-shaped plot of about 42 acres which was allotted to the Trustees of Storey’s Charity by the Enclosure Award of 1805. The original charity was established in 1692 when ‘Edward Storey of Cambridge, gentleman’, bequeathed the rents and profits of his estate for the construction of ten alms houses for the benefit of widows of Anglican clergy, and of widows and maidens ‘of sober life and conversation’ of the parishes of St Giles and of Holy Trinity. By the late 1890s the Trustees of Storey’s Charity, decided to raise capital for re-investment by selling some of their agricultural land for high quality housing covering some 35 acres. 74 freehold plots were offered for sale, varying in size from a quarter of an acre in the northern area to half an acre elsewhere. By the end of 1914 eighteen plots had been sold, but during and immediately after the Great War, sales were slow and the last plot was not sold until 1932. The first houses were built in 1912, with the majority being built before 1930 and a few from the post-war period. There are several Baillie Scott houses in the ‘Arts and Crafts’ style located at the west end of the road. The houses are characterised by a continuity of style of the 1920s but with a wealth of variation in roofs, gables, decorative timbering, tile detail, windows, porches and brick or render finishes. The influence of the Arts & Crafts Movement is still recognisable in many of the gardens with formal design close to the house and ‘wild garden’ beyond. Yew and beech hedges are common, as are close-boarded or slatted, low, wooden fences. Experienced estate agent Alex Gray has joined us in the newly created position as Head of Residential Sales. Alex moves from Tucker Gardner where he enjoyed a 20 year career. Alex brings a wealth of experience and knowledge as well as a shared enthusiasm to help our clients. Having worked his way up in the estate agency business, Alex was a director at Tucker Gardner for more than 14 years, where he took over the full management of their regional office network following the acquisition of the firm by Countrywide, the UK's largest estate agency chain, in 2014. Commenting on the appointment, Nick Redmayne said, “We’re delighted to welcome Alex. He has a proven track record of selling houses, apartments and new homes in the Cambridge area. He has a incredibly strong focus on customer care which ties in completely with our ethos at Redmayne Arnold & Harris." Alex added: “This is a great opportunity for me to build on the enviable reputation which Nick Redmayne, Chris Arnold and NIck Harris has established over the last 25 years. When you are helping a client sell a house, you are not just dealing with their biggest asset but also their family home. By bringing together best estate agency practice, local knowledge and cutting-edge technology, we have the chance to expand take a wider market. Many think that estate agency is money for old rope. Surely all you do is visit the house, take a few measurements and photographs, upload the details to OnTheMarket or Rightmove and wait for the viewings and offers to flood in. This part of the job takes up only 20% of our time. So what makes up the other 80%? Handling offers and negotiating the final price is a key step and one that requires sensitive handling. A quick cash offer after the first viewing can be good news. But it is also vital to test the market fully, to give all interested buyers a chance to view to make sure your client gets the best price in the market at that time. Keeping the person who made the original offer happy while allowing others a chance, requires diplomacy (and the patience of Job). Once a property is Sold Subject to Contract (or Sale Agreed or Under Offer), the fun really begins. Until contracts have been exchanged, either side can pull out of the sale, buyer or seller. And, across the country 35% of agreed sales fall through, not only causing distress to at least one side but also incurring expensive solicitor and surveyor fees. Our level of fall throughs is much lower than the national average and this is down to time and effort we put in after a sale is agreed, carefully nurturing a sale to completion. To get a sense of the common pitfalls, we interviewed Jane Bailey who has responsibility for progressing sales at RAH. This is her list of recommendations to ensure a smooth sale. 5. Don’t underestimate the importance of your agent’s office. This is the place that surveyors come to get access to conduct the survey. It is also the place where keys can be held, ready to be handed over to the buyer as soon as completion takes place. Having someone on hand who knows the sale inside out, definitely helps to keep things on track. Spring is seen as the prime time to sell your home. But is accepted wisdom always right? The Christmas break is a time when many people make big decisions, including whether their current home is still the right place to live. With less properties on the market, the New Year can be a good time to market your home if you follow some basic rules. Properties in more isolated locations can appear to be even more remote during the winter when the roads can be muddy, slippery or covered in snow. However, Cambridge City properties and houses in more central village locations have always sold well in Janaury and February. Keep photos up to date. Nothing suggests a stale property more than tinsel on the tree or snow on the ground when it is a beautiful Spring day in February. Try and keep viewings to the day time. And open curtains and clean windows to let in the light. Making your home appear as light and bright as possible is crucial on shorter, darker days. Make viewers feel welcome. Light the fire or turn up the central heating and maybe even offer a cup of tea to potential buyers. Tidy the garden. Sweep up those leaves and cut the lawn if possible. You may have been leaving these jobs until Spring but you are trying to show off the full potential of your home. Sitting in Cambridge it is easy to think that the housing market is immune from the ups and downs of the wider UK economy. Prices for prime city properties are holding up well. Even with less buyers around since Brexit, the lack of supply means there is still competition for the best houses. The best locations will always sell well. Overall however, it feels like the Cambridge property market is in a state of flux. So, if you want to sell and you aren’t living in a stunning Georgian house overlooking Jesus Green or Midsummer Common, how can you maximise your chances of finding a buyer? Well the simple truth at the moment is that the right valuation will make or break your sale. Under-pricing your home risks leaving money on the table while over-pricing means you may wind up sitting on the market for weeks until you have no choice but to lower the price to gain more attention. So, what are the secrets to pricing property so that it sells? Firstly, you need to understand your competition. How many similar houses are on the market in your neighbourhood at the moment? If there are several properties on the market, you will need to price aggressively in order to get buyers to choose yours. If there are no other similar houses locally, you may be able to go for a more ambitious asking price. Then you need to be completely honest about the condition of your home. You cannot make a true comparison with other properties through rose-tinted glasses. Evaluate your home the way a picky buyer would and realign your expectations to match. If there are some quick cosmetic fixes that will improve the first impression of your home, such as tidying the front garden, decluttering and the odd lick of paint, now is the time to get on with them. If you think that people will fall in love with your home and offer you more than it’s worth – think again. Today’s buyers have so much pricing information at their fingertips. Rightmove and Zoopla give them actual sold prices, together with photographs and floorplans. They know exactly what has sold in your area and for how much. Buyers may not even view if they think the asking price is too high. They take away the message that if you are oblivious to the state of the current market, you are probably not very serious about selling. Either that or they simply wait until the guide price is reduced. An experienced, independent agent will market properties at the right price. 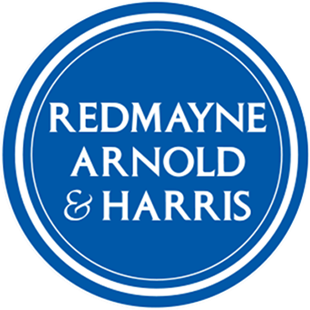 At Redmayne Arnold & Harris we have 25 years of local market knowledge and the history of what has sold in specific roads. Also, we have the latest information about the competition. The sales data on the online portals is typically three months out of date as they rely on completion data coming through from the Land Registry. We know what’s coming onto the market, how many viewings are actually taking place and what sales have just been agreed? We can advise on presenting your home in the best way and about setting your asking price so that your home stands out online. You might have just found the perfect new home and are keen to get your house on the market as soon as possible but pausing for a moment can reap big dividends. Making initial impression count can make all the difference when it comes to getting offers. Having a ‘they can take us as they find us’ attitude rarely results in you achieving your price expectations. We’d never dream of selling a car without washing and polishing before uploading photos to the internet, so why wouldn’t you do the same with your biggest asset. So here are my top tips for the things you must check before you allow potential buyers to come round. 3. De – clutter. A buyer needs to be able to see the potential of every room. You might be moving because you have outgrown the space but you don’t viewers to be left with that impression. Pack up the clutter, remove large pieces of furniture and if necessary rent some storage space for the duration of the viewings. 4. If the sun isn’t streaming through the windows, the right lighting can make all the difference. Poor lighting can make your home feel dark and drab so install brighter modern lights to make your home seem sunny, cheerful and up to date. 5. Think like a buyer. Now is the time to look at your home with fresh eyes. Check for peeling paint in the bathrooms, polish those light switches and tighten the screws to fix those rattling door knobs. You don’t need to overhaul the bathrooms and kitchen if you are selling (leave that for the new people) but you do need to show your house has been looked after and is loved. Buyers tend to over-estimate the cost of repairs so fix the kitchen drawer, replace the broken front light and oil the front gate. 6. Your garden is one of the most important spaces at the property. Pruning, trimming and landscaping will make sure your garden presents a positive first impression. And now is not the time to argue with the local council about who mows the verge outside your house. Swallow your pride and do it yourself (at least while viewings are taking place). This year, Redmyne Arnold & Harris are celebrating 25 years of selling and letting prime property in and around Cambridge. Here Nick Redmayne looks at why experience and expertise matter so much when you sell your home. 5. If you agree a sale, national statistics indicate that there is a one in three chance of it falling through before completion. We have a success rate of 88%. Long-established relationships with solicitors, surveyors and lenders mean we are best-placed to ensure that everyone involved in a sale is kept informed and deals stays on track to the end. We can identify any potential problems early and we have the experience to deal with them quickly and efficiently.